The term CSR is often used instead of sustainability. Alternatively it may focus on social sustainability – one of components of the ‘triple bottom line’ (coined by John Elkington in 1999). Social considerations in sustainability include ethics / anti-corruption systems, human rights and health, equity and labour rights, and corporate governance which ideally should be integrated into sustainability action. So Corporate social responsibility (CSR) is how the corporate sector often frames social sustainability issues. 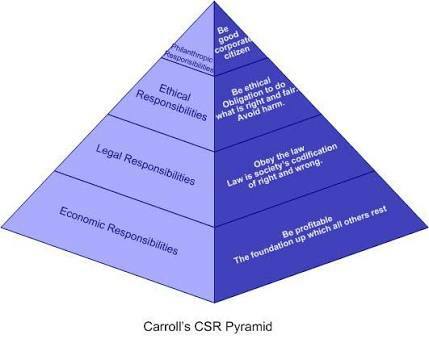 Responsible or ethical investment can also form part of CSR pracice in the business context. Another term being used to describe this field is CSV – the creation of shared value. CSV recognises that corporate profit is nolonger considered sufficient to create real community economic value. To find out more about CSV, check out this 16 minute interview with Michael Porter of Harvard Business School and uploaded in 2011 by the Harvard Business Review. Unfortunately many companies think that all they need to do to fulfill their social responsibilities is some public relations around donating funds, contributing volunteer time to community causes or providing flexible work arrangements to staff. On the other hand, a company may underestimate the relationship between their value chain and the views of stakeholders about their ‘social license to operate’. The World Business Council for Sustainable Development (WBCSD) has produced a guide entitled, ‘Measuring socio-economic impact – A WBCSD guide for business: Navigating the complex landscape of socio-economic impact measurement’ (February 2013). The guide helps companies measure their socio-economic impact as part of maintaining their license to operate, improving the business enabling environment, strengthening their value chains, and fueling product and service innovation. The guide is intended to help companies navigate the complex landscape of socio-economic impact measurement and health impact assessment tools. Another useful report from the American Management Association is ‘The Ethicsal Enterprise – Doing things in the right ways, today and tomorrow’ which is a global study of business ethics prepared by Jay J. Jamrog and published in 2006. Why is social sustainability relevant? Further resources and information to come.